Dr Louise Newson selects the latest papers of interest to GPs including studies on helmets for babies with positional skull deformities, managing undescended testis, mortality from ruptured AAA and mood stabilisers for violent crime. 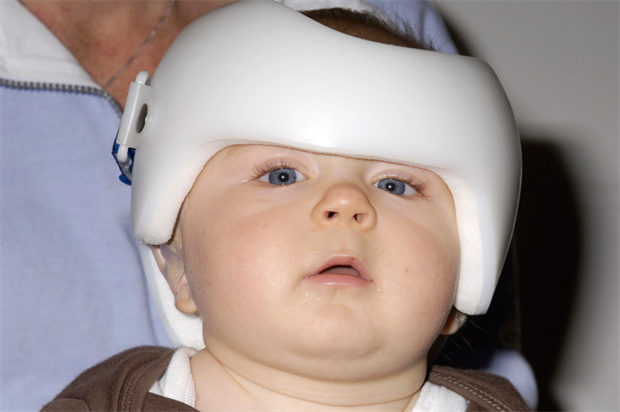 This study was undertaken to determine the effectiveness of helmet therapy for moderate to severe positional skull deformation, compared with the natural course of the condition, in infants aged five to six months. Primary outcome assessment at 24 months was blinded. There was no difference between the two groups of children. Full recovery was achieved in about a quarter of both groups. All parents of children who used a helmet reported side-effects, such as skin irritation, pain, sweating, helmet odour, problems with accepting the helmet and feeling hindered in cuddling because of the helmet. This small study was the first RCT on helmet treatment in infants with positional skull deformation, so more work needs to be done. This study was undertaken to identify the population characteristics of children referred and managed for UDT, age at referral and orchidopexy, and patterns of referral. Although more than half of the UDT cases were diagnosed at birth, the median age of referral was 1.1 years and the median age of orchidopexy, 1.6 years. Premature babies and those with major genitourinary anomalies were referred earlier. The study highlights that we need to refer cases of UDT earlier, so they can be managed appropriately. The outcome for patients with ruptured abdominal aortic aneurysm (AAA) varies by country. In this study, data were compared from the Hospital Episode Statistics for England and the Nationwide Inpatient Sample for the US, for patients admitted to hospital with ruptured AAA from 2005 to 2010. 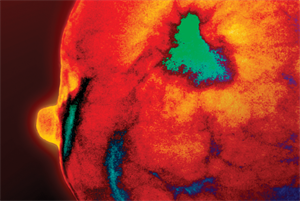 More than 11,000 patients in England and more than 23,000 patients in the US were involved in the study. The results found lower in-hospital mortality in the US than in England and intervention (open or endovascular repair) was offered to a greater proportion of cases in the US than in England (80% compared with 58%). Despite these differences, post-intervention mortality was similar in England and the US. In both, the lowest mortality for ruptured AAA was in teaching hospitals with larger bed capacities and more cases treated by endovascular repair. Antipsychotics and mood stabilisers are widely prescribed to patients with psychiatric disorders. However, their effect on some adverse outcomes, including the perpetration of violent crime, is still unclear. This study was undertaken to establish the effect of antipsychotics and mood stabilisers on the rate of violent crime committed by patients with psychiatric disorders in Sweden. The study found that in the 40,937 men prescribed antipsychotics or mood stabilisers, 6.5% were convicted of a violent crime during the study period. Compared with periods when participants were not on medication, violent crime fell by 45% in patients taking antipsychotics and 24% in those on mood stabilisers. The researchers conclude that in addition to relapse prevention and psychiatric symptom relief, the benefits of antipsychotics and mood stabilisers might also include reductions in the rates of violent crime. This may be relevant when considering treatment for patients with psychiatric disorders. It is notoriously difficult to persuade adolescent patients, particularly males, to visit their GP. This study in Norway aimed to determine whether an informative letter could enhance the accessibility and use of healthcare facilities and services by young patients. GPs sent a personal, informative letter to those patients who reached 16 years of age that year. The letter included information about health problems and health rights, including confidentiality. Their results were very interesting, in that the proportion of adolescents in contact with a GP increased from 59% in the control group to 69% in the intervention group. The increase was most significant in males. This seems to be a simple, effective way for general practice to become more accessible to adolescents. Discuss the baby helmet study with a paediatrician to gauge their opinion on the use of helmets for babies with skull deformities. Ensure the GPs in your practice are aware of the need for early referral of all boys with UDT. Consider compiling a letter to be sent to adolescent patients, informing them about services you offer and confidentiality.